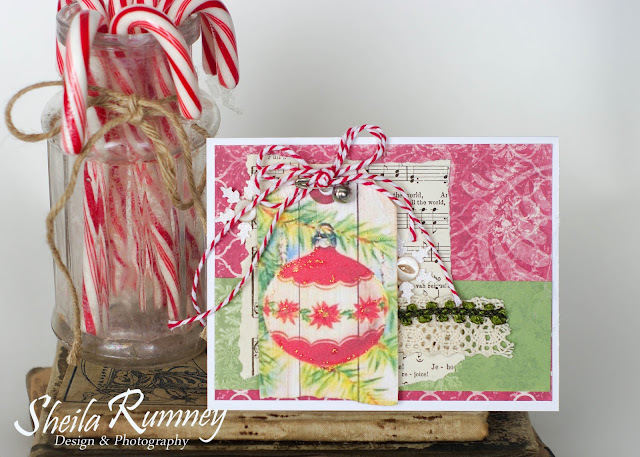 Today, I am back with more Christmas inspiration using Polly's Paper Studio images. 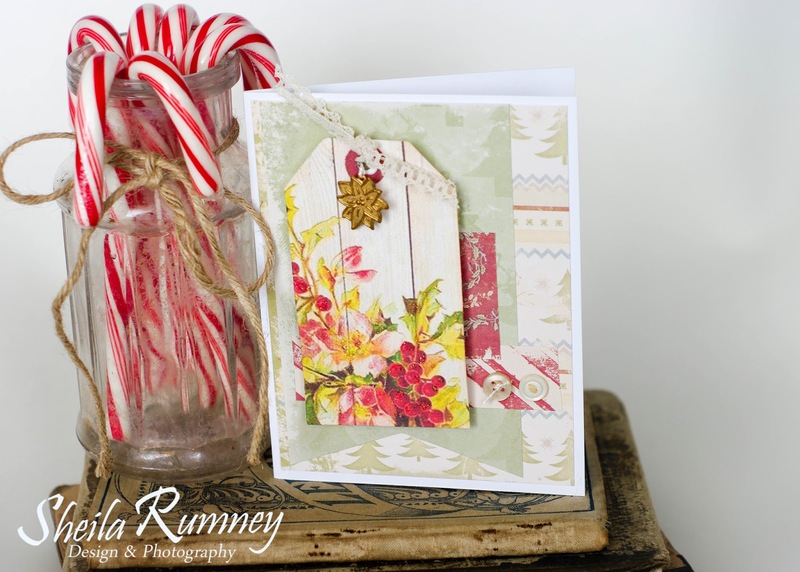 I just love Ginny's Wood Grain Christmas Tags that I used to create these cards. Just download them and print them out. 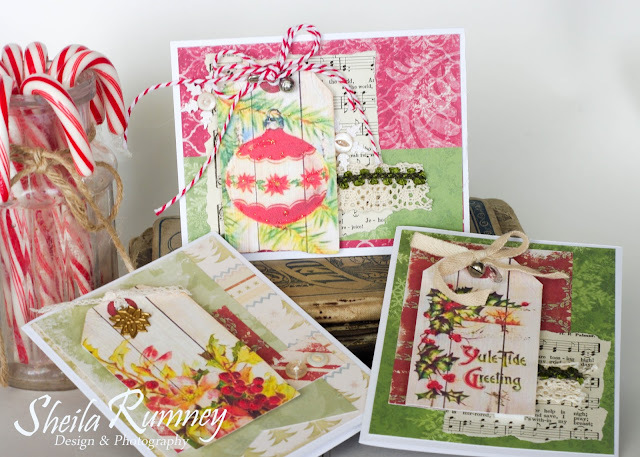 The vintage images layered on top of the wood grain, give a fresh homemade feel to your Christmas projects. Each can work get apart or together on one project. 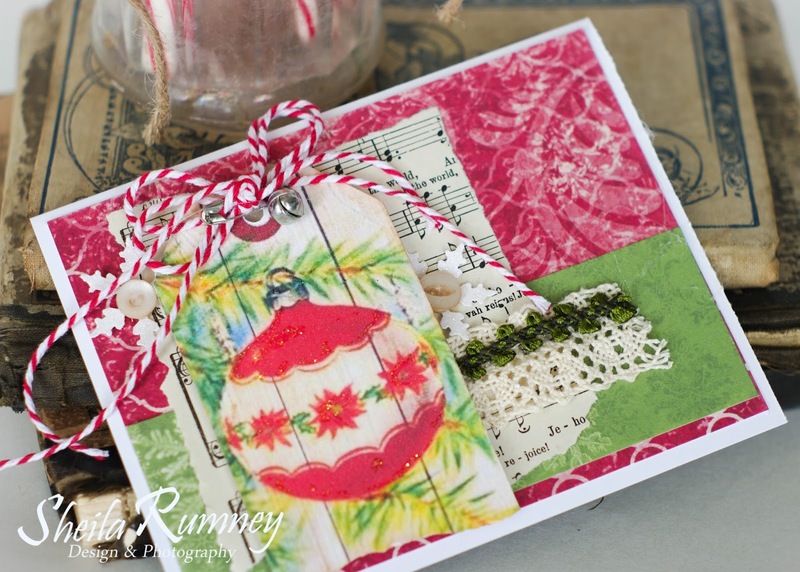 By combining beautiful Christmas color papers, hymnals, vintage lace and buttons these are easy to make and give. While it has been so hot outside, it has been nice to come into the cool house, grab a nice cold drink, turn on Christmas tunes and create away. 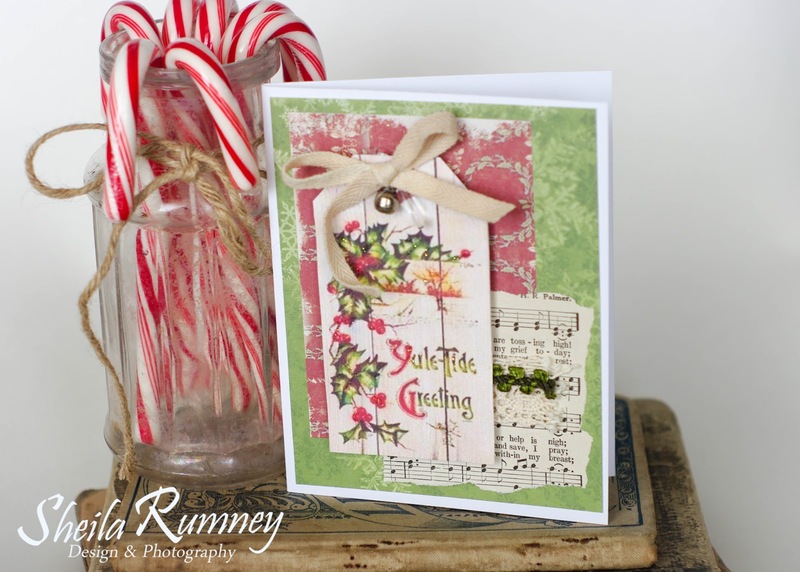 Have you gotten a head start on your Christmas card making? I hope these sweet cards have inspired you to create a little Christmas magic. Come back next week Wednesday for more Christmas inspiration. See you on Friday for another fun and easy Photoshop Friday tutorial. These cards are beautiful! I'm a scrapper creating 12x12 layouts and mini albums. It's rare I ever make cards, although I should start. These are super duper cute and festive. You always make my digis looks so awesome!! Thanks for being a creative genius!! !